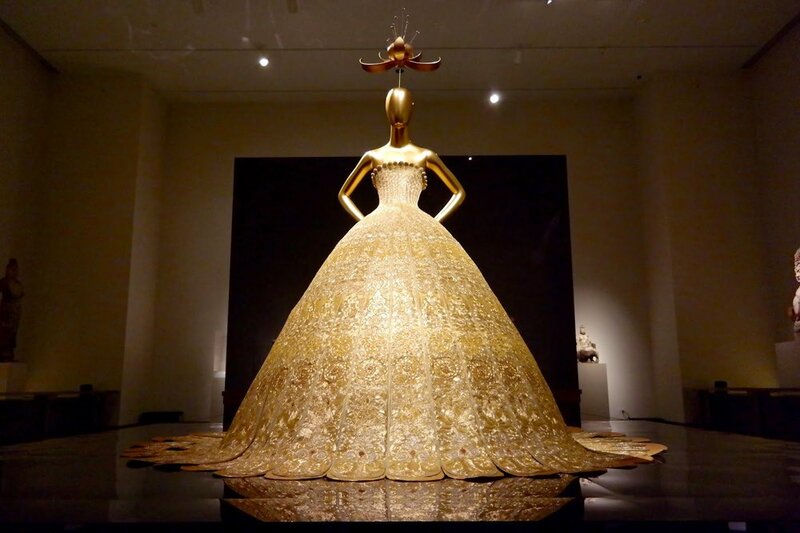 The announcement of the Metropolitan Museum of Art's annual fashion exhibit is something that I look forward to every year. 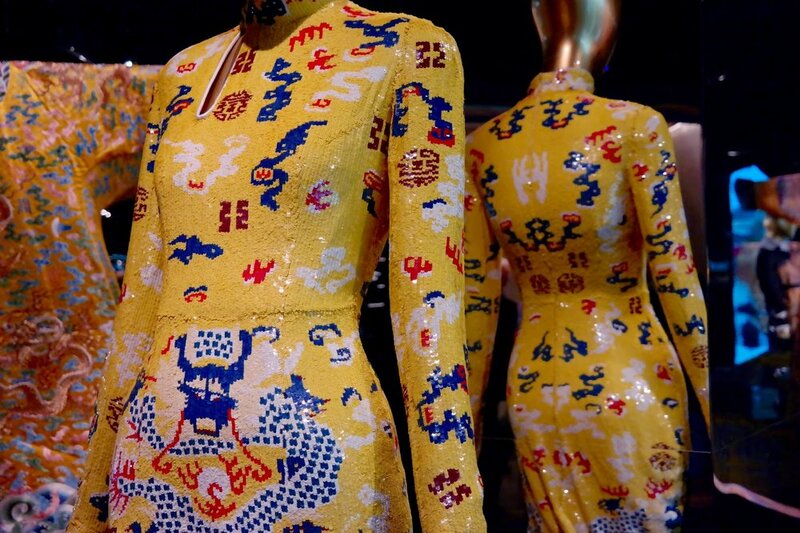 I'd read that the show was to be titled CHINA: THROUGH THE LOOKING GLASS, but it wasn't until I saw a picture of a gold sequined dress in a press release that I became truly intrigued. It stated that the objective of the exhibit was to "explore the impact of Chinese aesthetics on Western fashion". 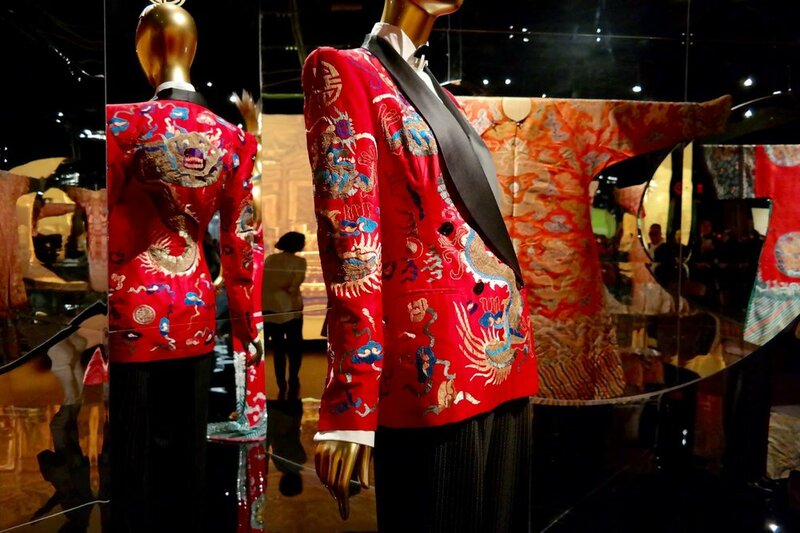 For hundreds of years, designers have been referencing culture, art, and cinema from the East and incorporating into their work. Sometimes with just a nod, sometimes quite literally, and always with their own interpretation. However, the most obvious question can not be avoided. 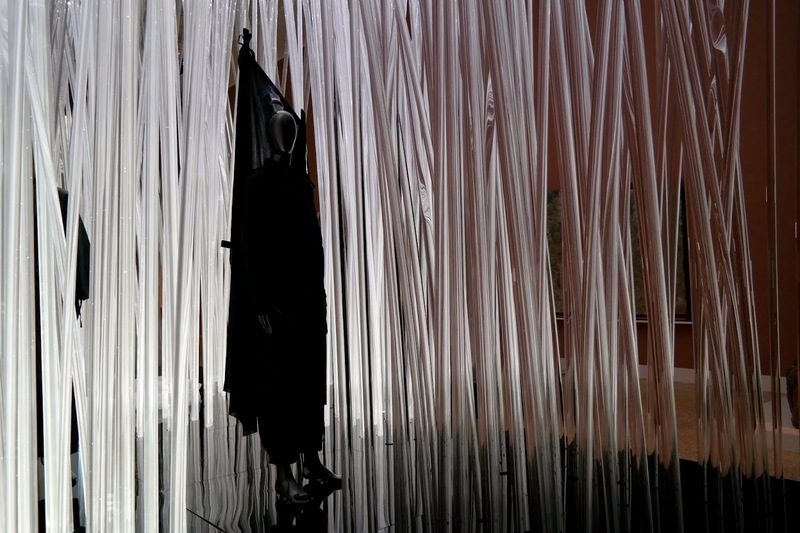 Can this exhibition be done without being culturally insensitive? 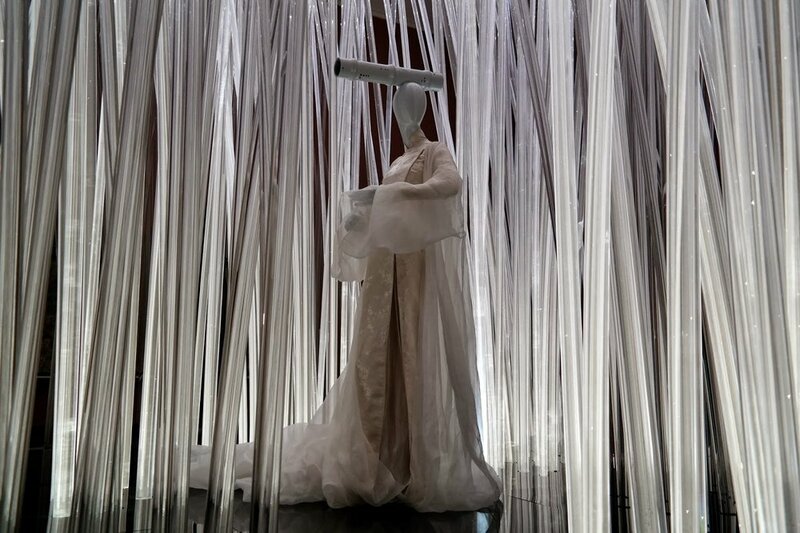 The very large presentation is being housed in the Costume Institute's Anna Wintour gallery as well as the existing Chinese galleries and spans three floors. 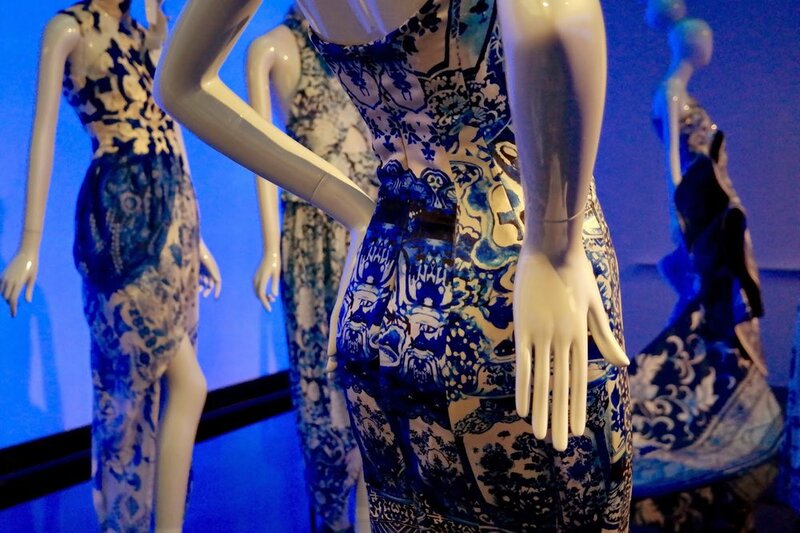 The pieces were mostly grouped by color and accompanied by articles such as porcelain vases and tapestry. Every corner offers something interesting as you wander into a Chinese garden and a plexiglass bamboo forest. 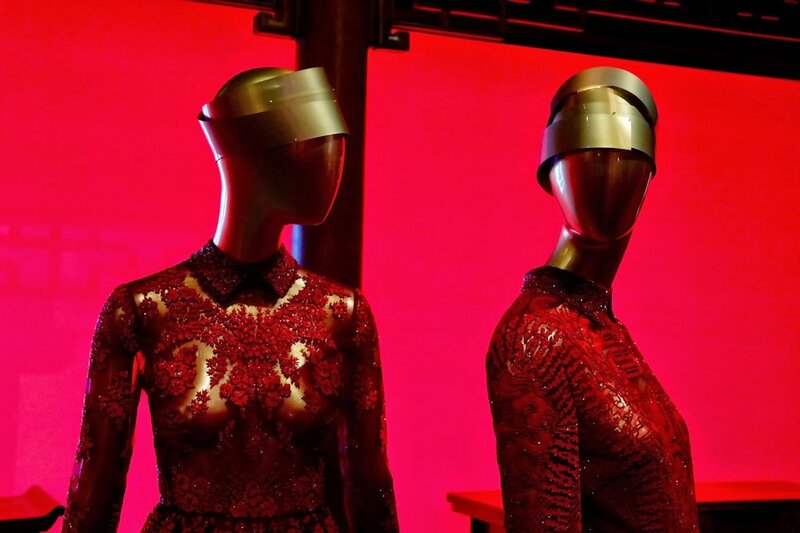 There was also a lot of red as it a color that symbolizes good fortune and happiness in Chinese culture. 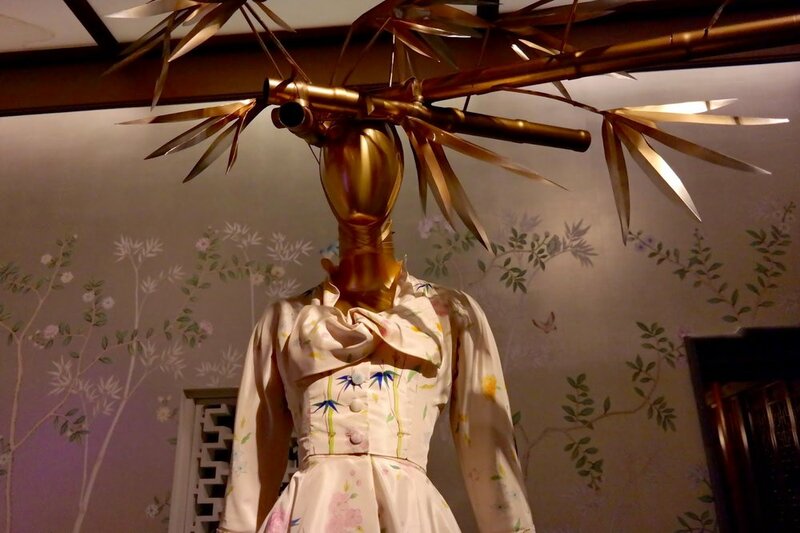 Snippets of popular films stream in almost every room and each mannequin is accessorized with uniquely whimsical headwear. I found this to be my favorite thing. 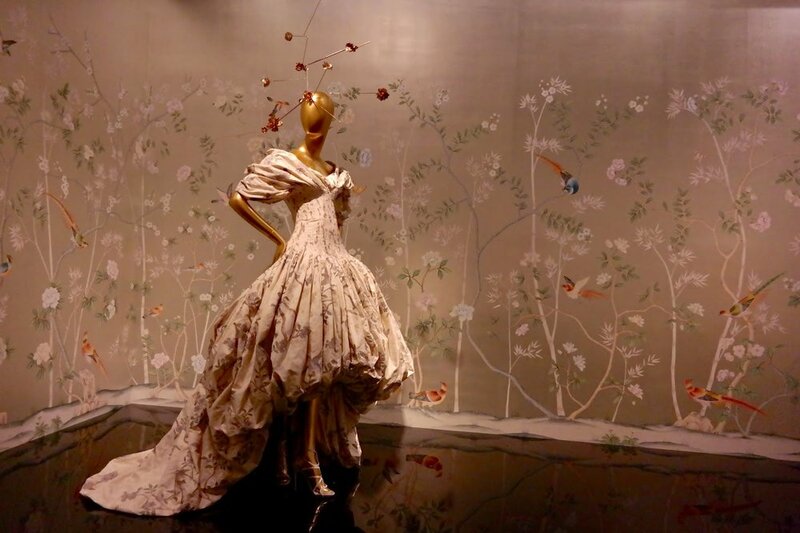 CHINA: THROUGH THE LOOKING GLASS takes its name from Lewis Carroll's1871 novel that features a curious heroine always on the hunt for a magical world. I too am always seeking to learn more and just as Alice climbed through the mirror, so did I as I explored this impressive exhibition and arrived on the other side. Because of this, my fashion education will forever be enriched. Bravo, Metropolitan Museum of Art. Bravo!